Why Choose Big Boy's Toys LTD. For Your RV Purchase? 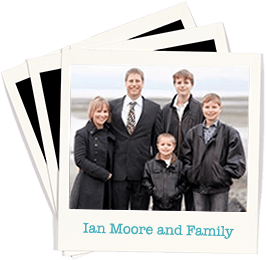 Ian Moore, owner of Big Boy's Toys, was presented with the prestigious Canadian RV Dealer of the Year Award in November of 2013. This award highlights the recipients care and attention to the industry and is a true testament to their passion and dedication. Family, friends, colleagues and customers came together in support of Ian’s nomination. Ian was also the recipient of the 2013 RVDA of BC Dealer of the Year Award. Today these awards are proudly displayed in our showroom. Big Boy's Toys is a local, family owned RV dealership based out of Nanoose Bay on Vancouver Island. From our 2000 square foot Parts & Accessories department to our 5000 square foot Service department, we offer one of the largest RV facilities on the island. You will always find a great selection of both new and pre-owned Fifth Wheels, Travel Trailers, Folding Campers and Motorized RVs. Founded in 1981, this season marks our 38th year as an island company and we are proud of our commitment to being a Jayco Exclusive dealership. 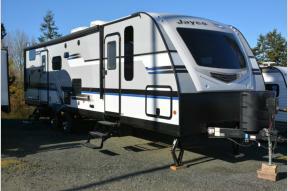 We proudly carry Jayco Tent Trailers, Jayco Travel Trailers, Jayco Fifth Wheels and Jayco Class A and C Motorized RVs. We work hard to build lasting relationships with our customers and have strong affiliations with the RVDA of British Columbia, the RVDA of Canada, the Better Business Bureau and with the RV Care Network. Our success is simple – We know our business, we believe in the products we offer and we love what we do.